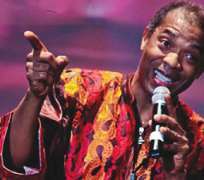 AFROBEATking, Femi Kuti, clocked 46 two weeks back. But in spite of how blessed he has been, he still regrets that he is not the father of two of his five children. He revealed this few days to his birthday in an interview. Out of his alleged five children: Made, Afolabi, Dupe, Tosin and Ayomide, two of them, Dupe and Tosin (a boy and a girl) have been discovered not to be his biological children, according to a recent DNA test. He confessed being disappointed and pained that a woman can actually give someone what does not belong to him. “I did a DNA test and was told two of the children are not mine. The first two (after Made), a boy and a girl. It is very serious. I never knew somebody could give you what is not yours. I've three boys now. I can't father children I was tricked to believe I am their father,”he lamented. Because of the betrayal, he returned the two children, Dupe and Tosin, to their mothers. Funke, his ex-wife, gave birth to his first child and son, Made, who Femi treasures so much. And Bisi Ajala gave birth to Ayomide and one other child that the DNA test recently proved not to be Femi's. The third woman's name was not revealed. The maverick Afrobeat king has finished work on his next album which will be released soon.